Superdry women’s Lorri sequin top. This premium long sleeve top has been designed with a relaxed fit, making it perfect for the everyday. 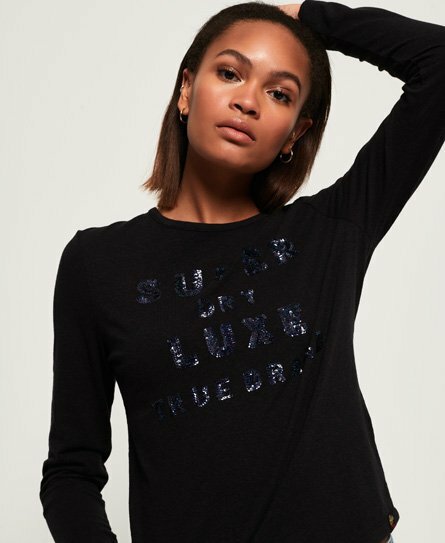 The Lorri sequin top features an embellished sequin Superdry logo across the chest and a Superdry tab on the hem. This top tucks effortlessly into a pair of jeans for a stylish, off duty look.